Rift and Scams within the Shia Community , who is Responsible ? JNN 06 Aug 2014 ISLAMABAD: Internal politics has pitched members of the Shia community in Kurram Agency against each other, with three key groups in Parachinar exerting their influence in the power corridors of the federal capital just to enhance their standing back home. One such group is led by retired Air Marshal Syed Qaiser Hussain who has accused the opposing sides of misappropriating community funds and trying to create sectarian unrest in Kurram Agency.`The Imam of the mosque and Imambargah should not be allowed to re-enter Kurram Agency because he and the Maulvis of Sunni mosques are involved in creating sectarian divide,` Syed Qaiser Hussain said while addressing a press conference at the National Press Club on Saturday. He said traditionally the control of mosques and Imambargah had remained in the hands of `Qaumi Anjuman` comprising local elders. `We never had any Shia-Sunni division in our area when matters were in the hands of the Anjuman. We therefore need a strong and democratically-elected Anjuman just like we had in the past. He said Allama Nawaz Irfani, the Imam of the central mosque and Imambargah in Parachinar, had been living in the area for almost 14 years and had allegedly misappropriated around Rs500 million from community funds. `The monthly income and donations collected at the main mosque and Imambargah is around Rs10 to Rs15 million, and this is the reason why Allama Irfani is not leaving the post, he alleged. He accused the cleric of establishing a private Group known as `Pasdar` to harass his opponents. Syed Qaiser Hussain also criticised the MNA from the area, Sajid Turi, for taking sides with Allama Nawaz Irfani. `This is because Sajid Turi has no standing in the area, and he got elected with the support of Mullah Irfani,` Qaiser Hussain said. `Now when Mullah Irfani has been banished from the area, a handful of his henchmen were trying to create unrest in Parachinar just to bring him back. But, this should not happen,` he added. He praised the army present there for keeping troublemakers at a distance. It is also worth Mentioning here that Qaiser has fielded his Son , on the National Assembly seat in the Previous General elections of 2012 , which he lost to his Opponent Sajid Turi , who is also a Shia Leader , But As Sajid was Backed by the Maulana Irfani who supported his compaign , and due to which now Sajid Turi is the MNA , from the same constituency . It may be mentioned here that Kurram Agency had seen clashes among local tribes in recent past. This led to Sunni tribes blocking Parachinar with the support of Taliban. 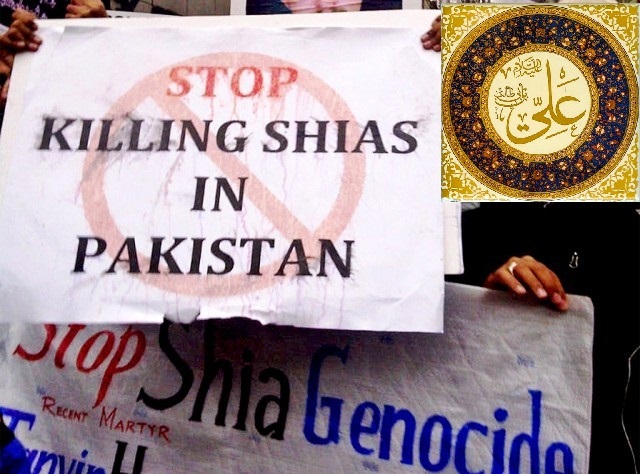 However, as the situation normalised in the last two to three years, the focus of the conflict shifted from Shia-Sunni tribes to internal rift within the Shia community. Recently, the supporters of Allama Nawaz Irfani had held a press conference at the National Press Club, in which they demanded the government to lift ban on the Allama from entering Kurram Agency. General Secretary, Turi Bangash Supreme Council, Mohammad Hussain Turi and Pakistan Shia Conference Chairman Dr Ghazanfar Mehdi accused the administration of Kurram Agency of harbouring militants in the area.`Allama Irfani is being stopped from entering Parachinar only because he resisted the re-settlement of fighters in Kurram Agency, Mohammad Hussain Turi said.He even criticised MNA Sajid Turi for not doing enough to get the ban lifted on the entry of Allama Irfani to Kurram Agency. MNA Sajid Turi, while talking to Dawn, criticised retired Air Marshal Qaiser Hussain for playing at the hands of certain agencies which were creating divisions within the community. `As for the funds of the Imambargah, is it possible for one mosque to gather a donation of Rs10 million every month, that too in a troubled area,` Sajid Turi said, adding that, `I can only say that Qaiser Hussain should accept his defeat against me in the elections and start working for the welfare of the entire agency as well as other tribal areas. We have had too much bloodshed and destruction. About the establishment of a private army by the cleric, Mr Turi said `Pasdar` was just like any tribal lashkar in other agencies set up by their respective administrations. This is not the Only case which is being circulated in the Public Press , while the Latest case in Karachi which is widely being talked in the community is about the Mismanagement of Public Donations , done in Disaster of Abbas Town Bomb Blast , in which two Buildings were completely Damaged , and about 70 Flats and Shops were Destroyed and Needed to be built again , As the Majority of the affected were from the Shia Community , so the NGO and the Associations , which were Involved in the Process were basically also from the Shia Community. As it was a Big Disaster and whole of the Shia Community of Pakistan was concerned about the rehabilitation of the effected families , so Donations were given to about 3 Major NGO’s , who came to the fore front and even took the responsibility of Providing every type of relief to the effected families , and in the Process One NGO , whose Top Hierchy is totally from the Shia Community , in the Process even announced that they have received Donations amounting to 240 Million Rupees , and they even Claimed in the Public Media that all the Releif Work is financed by their NGO , with the help of the Large amount of the Donation they have collected in the Process , which includes the Rebuilding of the about 100 Flats , Compensation to the Displaced families , due to the Damage Done to their Houses , and even the Compensation to the Injured and the Martyred People from the Shia Community. But at the End of the Day , the facts tells Us a Different Story , Which can even be verified any time by the Government Resources , as Per the facts , All the Rebuilding and Construction Cost of all the Flats and shops was Borne by the Sindh Government , while a Compensation of 1.5 Million Rupees was given to the Hiers of the Martyred , and Rs.1 Million was Paid to the Injured in the Blast was also Paid by the Sindh Government . While the Govt was Pressurized to bear this all by the Influence of Some Shia Political Leaders , but they were Never in the Picture. While the Publicized Audited accounts of the same NGO , shows that Donations in connection to the same Abbas Town Disaster which they announced earlier on record of Rs.240 Million , was shown Only of Rs.60 Million. While at the time of the Handing Over Ceremony of the Rebuilt Flats and shops By the Provincial Govt , which was Publicly done in an event , some More facts came to light as in addition to the Cash Donations , Big Quantities of Building Construction Material was also Donated by some Soft Hearted faithfuls , in love of their Community Brothers , which was even Unaccounted . And there was No One to give the Details of the Received Materials, which was never used in the Construction of the said flats and shops , as it was all done by the Provincial Govt. These and other Matter like this are a cancerous for any Community as they shake the confidence of Whole of the Community in each and every Leader of the Community , Whether faithful or Cheater , then all the Leaders are Put in the same Category , and due to which finally Again community suffers as Leaders are Needed to Lead the community , as Individuals cannot resolve the Problems and Hardships of the Community , as Some Responsible Visionary Leaders are always needed to Pilot the Community away from the Dangers and Disasters before they may come Up , while the community without leaders are Like People without Brains. In view of the above Rifts and other Rifts in the Community, It should be noted that Rifts and clashes are a Normal Phenomenon of any Society or Community, and especially when the Monetary Benefits are linked to any field or case, But the Best Solution to such cases, that the funds Management of all the Public figures and Organizations should be completely Transparent , and secondly Public committees should be formed of the community elders and Respectable of Neutral Nature and High Repute , so that if any Rift arises or any wrong doing is Noticed , so the Matter can be resolved Peacefully and amicably within the community , and the Opponents should not have to Wash their Dirty Linen in Public . This entry was posted in Asia Pacific, Jafria, Pakistan News, Parachanar and tagged Kurram, Kurram Agency, pakistan, Rifts, Scams, shia community. Bookmark the permalink. Pingback: VELAYAT TV USA – Rift and Scams within the Pakistani Shia Community , who is Responsible ?